Considering this whisky just recently was rated the best whisky in Jim Murray’s Whisky Bible, it’s no wonder that my wife, not knowing one bottle from the next, saw this honor and figured she couldn’t go wrong in buying a bottle for me. Not only did she not go wrong, she went very, very right!! I’m not going to bury the lead in this instance. 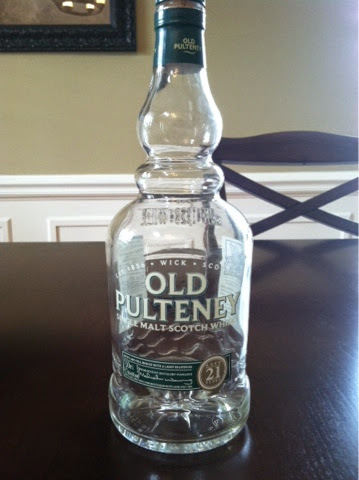 This is one of the best whiskies I’ve ever had, definitely in my top two, and perhaps my number one (I’d have a hard time choosing between this or the Glenlivet Archive 21 Year – a review for a later day). With my first sip, I knew I had something special. This whisky presented with robust vanilla, brown sugar, apple (raw, not cooked) and caramel flavors. Sounds like a classic American dessert, I know. I could easily make this whisky my go-to dessert for any special occasion. It is smooth from the start to the finish, coating the mouth only as much as is necessary to deliver the sweet flavors and not leave any stickiness or lingering sugar behind. As much as I wanted to save this bottle, finding its juice to be too good for just every day enjoyment, I couldn’t help but keep on pouring a drink here and there. It was just that good!! An absolutely outstanding whiskey.